MBW’s Inspiring Women series profiles female executives who have risen through the ranks of the business, highlighting their career journey – from their professional breakthrough to the senior responsibilities they now fulfil. 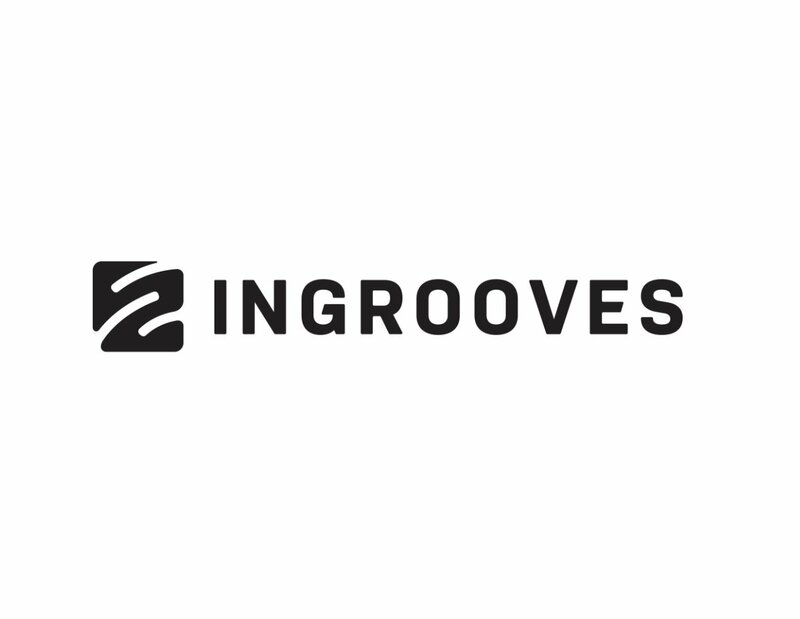 Inspiring Women is supported by INgrooves. When Concord Music paid over $500m to acquire Dutch-born publisher Imagem in 2017, it was one of the biggest music business acquisitions in history – one that took the US-born company into a whole new league of industry power. Imagem UK managing director Kim Frankiewicz was brought over as part of that deal, and has been given a key global role at the firm, leading the A&R team for the newly-integrated Concord Music as EVP of Worldwide Creative. 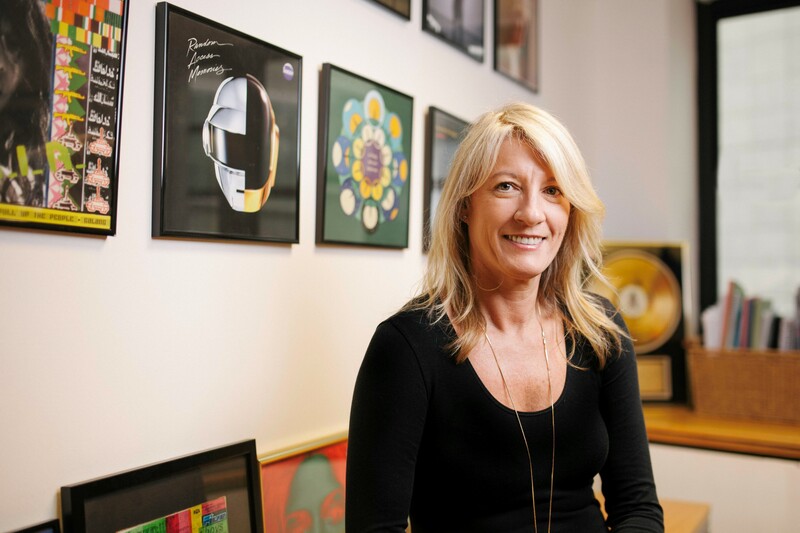 Her promotion arrived after a successful six years at Imagem, during which she established the company in the UK market by signing and re-signing artists and writers including Daft Punk, Kaiser Chiefs, Mark Ronson, Cathy Dennis and Justin Parker, whilst being instrumental in administration deals with the likes of Pink Floyd Music Publishing. Frankiewicz brings over 30 years of experience to the role at Concord. Her career began aged 17, working with a local promoter in Newcastle – the one Brits aren’t so familiar with, on the other side of the world in Australia. Thanks to the laissez faire approach her first boss took to work, Frankiewicz ended up picking up the slack, dealing with agents in the buzzing music city of Sydney and booking bands. After three years, her ambitions stretched towards the bright lights, and she accepted a job at an agency before INXS manager Chris Murphy found out she was looking for work. “I went down to Sydney, met with him and he played me Original Sin, which was going to be the next INXS single, and I just fell in love with the song,” says Frankiewicz, who promptly joined Murphy’s MMA management company. And that’s where she stayed for 12 years, working on INXS, who became one of the biggest bands in the world at that time, as well as Jenny Morris and the Models. It was during her time at MMA that she joined the world of publishing. “Chris had this little publishing company with one person working on it that wasn’t really going anywhere or doing anything,” Frankiewicz recalls. “He took me out for dinner one night and asked me to run it for him and I was like, No way – boring! That’s how, aged 24, Frankiewicz found herself running a music publishing company, despite knowing nothing about music publishing. Then, faith from a trio of respected independent music entrepreneurs helped kickstart a career path that’s been very far from boring. As well as enjoying a more civilised lifestyle, Frankiewicz thrived on finding label deals in Australia for music released by British and US imprints. After building up Murphy’s publishing company, she took on a dual role as MD of the exec’s record label, rooART, so that by the time he sold his companies in ‘96, Frankiewicz had worked across management, labels and publishing. as VP of International in New York. One year later, the company bought PolyGram and became Universal. After four years in the US, Frankiewicz was offered a move to the UK office at UMPG. She jumped at the chance. Alongside the introduction to corporate stationery budgets, Frankiewicz’s time at Universal brought some financial sass to her deal-making, which had been based on gut feeling alone at MMA. After 15 years at PolyGram/Universal, in 2012 she joined a then four year-old Imagem, hungry for a new challenge. “Quite a lot of people thought I was completely crazy going from a good, solid international company, because Imagem was still young and they weren’t really on the map,” she says. “Also, there were a lot of people who didn’t think I could do it – which to me is just like putting a red rag in front of a bull. It was the best thing I could have done because it’s been an amazing experience. One of the first things she noticed when taking on the new job was that Daft Punk, who were rumoured to be working on a new album, were out of contract. Frankiewicz flew to LA to meet the band and their manager, and spent the next few hours persuading them to re-sign. Thanks to her tenacity, the newly revitalised Imagem soon had a global hit on its hands with Get Lucky. Frankiewicz then signed Mark Ronson after Sony/ATV had to let him go as part of the 2012 EMI merger (he’d heard high praise about the exec from a mutual friend – and recently re-signed with her). This year, a new Ronson album featuring the likes of Lykke Li, Miley Cyrus and YEBBA is on the way, while development acts on the roster include UK rapper Che Lingo and singer-songwriter LION, who has been working with Linda Perry for her debut album. Imagem being bought by Concord is the second merger you’ve had to work through in your career – what was it like second time around? It’s been amazing. I think them buying us was a match made in heaven and has helped put them on the map outside of North America. Imagem was run as a very tight ship, so we didn’t have any major staff changes. It’s like, ‘Just continue doing what you’ve been doing’. What’s your strategy when trying to persuade artists to sign to you? It’s very much quality versus quantity, and that’s what I explained to our new owners when they bought us. Yes, we’ve got great financing, but to stand out we’ve got to be the good independent that doesn’t sign a gazillion things, and when we do sign it there’s a relationship there. We know our songwriters, we know our artists, we know their music and they know our teams. You’ve held two international roles, at Universal and now Concord. Was there anything about your grounding in the Australian music industry that set you up to work globally? I was living in Australia and working internationally from the age of 20. When we first started to roll out INXS, making deals with the Americans and the English and the Europeans, we were sitting in Australia doing that. And then there was all the touring and business trips I did. That was definitely my teaching ground, big time. I really shouldn’t say this, but I also think being Australian helped because we always feel like the poor cousins [to the UK and US]. We’re very neutral, we’re full of respect for all cultures and not scared. Because we’re so far away, most Australians you meet are travellers and they enjoy it. How does Concord’s global A&R team impact what you’re able to offer artists and writers? Being truly international is something I’ve drummed into the company since I started. When I was at Universal, getting people to care about projects assigned to offices elsewhere was a nightmare. So the minute I started at Imagem, I told the team that if we sign something in the UK, the US, Germany or wherever, it doesn’t matter, we’ll own it. It’s one company and we’ll all be proud of it. It’s not about a person, it’s about working together as a team, and it’s much more fun that way. 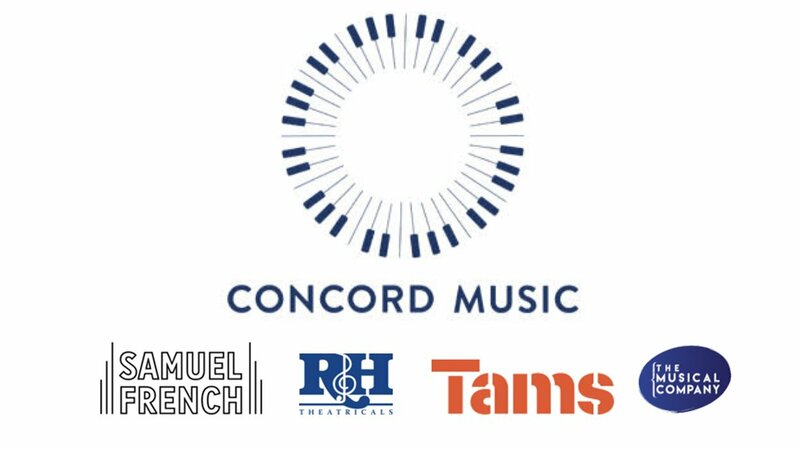 How much value does Concord place on frontline A&R? They’re very invested in it. In the time we’ve been working together, for all the deals I’ve put forward to them for approval, out of all the offices, they haven’t knocked back one. They’ve literally not said no to anything. Are these deals you’d have been able to sign before as Imagem, or are you able to go after a different level now you’ve got a bigger company behind you? We could have done, but I do feel that we’re a stronger company now because we’re much stronger in North America than we ever were. That used to be a bit of a hindrance for me, there were deals that I just couldn’t get across the line because the confidence wasn’t there as much in the company, especially from the American side. What is your A&R strategy? The last three years have been very songwriter-focused, because streaming’s only getting stronger, which is about the songs. It’s a great time for songwriters, because most people want a songwriter in the room with the artist. So I’ve been focusing on strengthening our songwriter roster, both in the US and the UK. I’m always looking at artists too, but I’m finding that when there is a good one around, the deals are moving so fast and getting so expensive, and you’re not even guaranteed that the album’s going to come out, so it’s a huge risk. If you’re going to go down the artist track, you’ve really got to believe in it, be extremely confident and be in it for the long-term, because things can change overnight. Why are artist deals getting so expensive? There’s a whole chunk of the business that’s missing at the moment, and that’s rock’n’roll bands. They’re really hurting at the moment and a lot of them aren’t getting signed. So when there is something of interest, the labels are sniffing around and going, ‘Wow, look at this,’ and everybody is jumping in. There’s talent out there, but there’s less talent that’s getting to a level of being signed. What’s the solution to that? It’s got to come from the kids — the industry’s not going to change it. I still remember that before Nirvana broke through, the charts in America were full of late ‘80s rock bands. That’s because all the record companies were pushing them at radio and spending all their money on those types of acts. When Nirvana came through, it took everybody by surprise, because they were doing something different. And the kids adopted them and got in on it. That was a movement. The business tends to obsess about A&R and record labels. What role do publishers play in the A&R process, especially today? I’ve been a publisher for 30 years and this is probably the most exciting time I’ve seen for a publisher ever. We’ll get the phone call before a label now, especially with the younger artists. A lot of people want to hold out on doing a record deal, because you’ve got to build up your social media and your streaming before you can even walk into a label, and to do that you need money. Up until the last five years, the publisher was usually the last person to get the call. It’s really shifted, big time. Now you don’t have to rely on getting your song played on Radio 1, you just need the music out there, whether it’s played on [UK TV show] Made in Chelsea, in a commercial or a film, and publishers have always had strong sync teams. Record companies do it now and do it very well, but it’s always been at the forefront of the publisher’s mind. I’m a big fan of labels, and when the machine kicks in, it’s amazing. You’re hearing, ‘Oh, I don’t need a label,’ but you need money and you need teams marketing you and working you. Not everyone can be Chance the Rapper – you still need money to come from somewhere. What’s the artist deal of the future? You’re always going to need a manager. You need an agent, although that might change because Live Nation are promoters and maybe one day they’ll cut out the middle man. And for the moment, you’re going to need a publisher because publishing administration is an art in itself. The label business is the big question mark because, as we’ve seen, you can do it on your own, so that’s going to be happening more and more. How the labels restructure themselves, I’m not quite sure. Universal has a film division now, so they’re looking at ways to use their masters and owning the vehicle, and Warner and Sony are doing more of that too. You can see them trying other things out so that they’re not just purely relying on owning the records. How does the average publishing deal differ from the ones that you did a few years ago? Not a lot, they’re still pretty much the same. But, especially with younger writers, I’ve recently started looking at different ways of approaching it. I’ve just done a deal but I’m not going to tell you about it because then other publishers will steal my idea! In terms of income, there’s an ongoing battle for songwriters to get a bigger slice of the pie. Do you see that growing in future? As more companies like Amazon, Google and Facebook are finally paying for music streaming on their platforms, we’re seeing more money come in, but it still doesn’t justify the splits, that does have to be fixed. There’s a lot of financial interest in songs and catalogs right now. What does that mean for a company like yours? The whole price of the deal is getting out of whack because the music industry is hip and cool again within the financial world. If there’s a catalog for sale that we’d want to look at, the multiples are going to be much, much higher than they would have been a couple of years ago. You’re in the minority of women who have started in A&R, stayed in A&R and held senior positions. Why do you think there is such a lack of female representation in those roles? There are a lot of businesses that are similar, but the music business is very much a boys’ club, so the boys give their mates jobs. I was very fortunate right at the beginning with my boss being Chris Murphy, who was always pushing me out there. I knew he had my back so nothing scared me. What advice would you give someone entering the music business today? If you’re passionate about it and you believe you can do it, go for it. Also, I don’t think anybody should be scared to ask questions. Don’t ever think you know it all, because you never do. Most of those girls are still very good friends, because 99% of the females you come across will support you and be there for you.